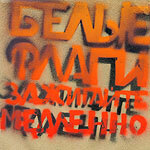 BELYE FLAGI ZAZHIGAYTE MEDLENNO (BURN THE WHITE FLAGS SLOWLY) was started by Ilya Sizov (guitar, bass), Boris Ionov (guitar) and Oleg Vakhromee (keyboards, sampler, field recordings) in Moscow in 2006. They were joined by Sasha Chirkin (drums) from the band Secrets Of The Third Planet (an offshoot of well-known Silence Kit) with whom the three shared a rehearsal spot. 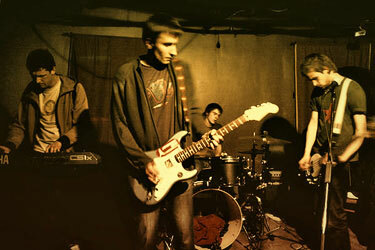 The combo made their stage debut in January 2007, demonstrating elegant style and good taste for deviant instrumental post-rock music. In the process of making their debut studio-album the drummer decided to leave BFZM. The core-members completed the album as a trio, and temporary ceasing concert activity put the focus on studio experiments. For music samples please visit BFZM page at MyspaceMusic. "...This particular Russian band is heading into a ravenous music press, hungry for something new. Their debut release displays a constant sense that something special is happening... If this debut release shows half the skill we could expect from a future release, it's time to get practicing your pronunciation, as you will definitely be telling everyone you know about this lot." – by Barry Smethurst of The Silent Ballet (USA) (May 2008). "...You’re left with a strong impression that this - despite being wordless and very international - is an equally Russian expression of hopes, dreams, and the sad intrusion of allegedly useful policy. It’s enough - as the bitterly ironic poster above suggests - to inspire hopes of deliberately wasting your life: as an artist." – by David MacFadyen of FarFromMoscow (USA) (August 2008).